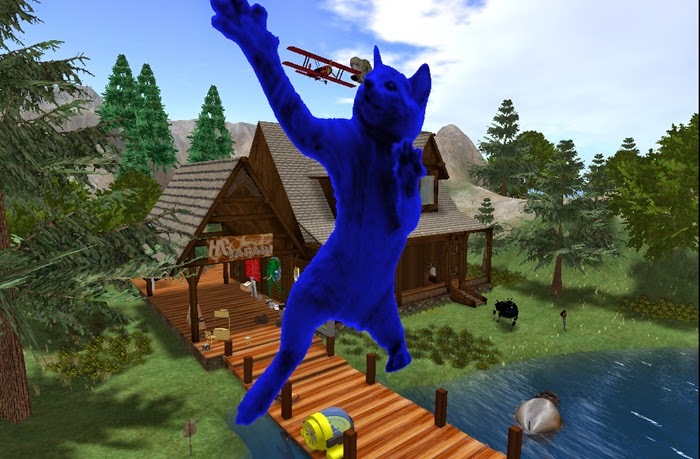 With the continued outage of OSGrid, the metaverse is doing it's best to accommodate displaced avatars. Much like the human counterparts who flee disasters, homeless OSG residents sought the nearest and most familiar port in a storm--Metropolis. As weeks of outage stretched into months of outage, as Metro's servers were pushed to the limit managing new members and expanding inventories, refugees sought alternative homes where they could begin rebuilding what they'd lost. I don't think I am the only one who sees some good in the OSGrid crash that pushed us all out of comfort zones to cope. I've met so many wonderful new friends, including the team who manage HG Safari. 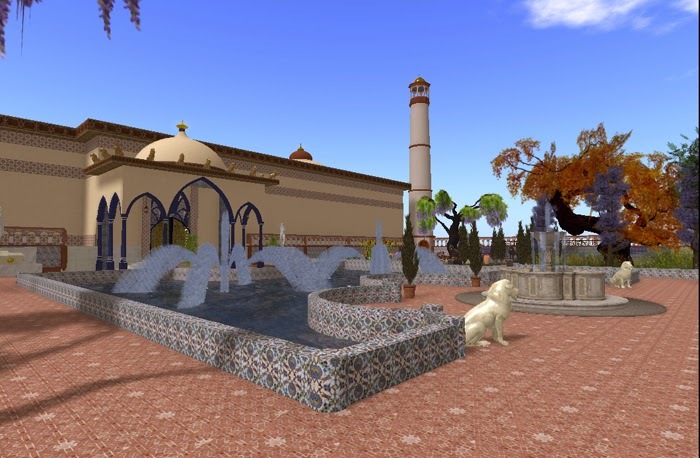 When the OSGrid crash left Safari homeless, I asked Tim at Zetamex to move the budget estate region oar I'd had in OSG to Metro for them to use until the grid was back. He in turn stopped billing on the region when he moved it, donating the time and space to maintain it. As safari outgrew those resources and the outage had no end in site, Franco Grid donated a region that could support the growing number of grid-hoppers. Meanwhile, the tales of parties, concerts, and glorious builds had folks pleading for a safari scheduled during hours that would allow them to participate. In particular, several members at the Nook grid longed for hours that worked for those living in the PST zone. Shannan Albright, SiobhanMuir, and Endora Twinklens stepped up and offered to help me lead a trial Moonlight Safari at 6-9pm PST. A brand new grid seemed the perfect hop to launch the new Safari. Refuge Grid, managed by Seth Nygard, was created by and for refugees. With three DJs and several clubs in place, it had already become a late night refuge Nook members slip off to after our evening write-ins. Most evenings you can find late night dancing going on in one of the regions. Lady Jo Martinique's Dark Shadow's region features a winter dreamscape decorated for the holidays, while Lady Pooh's Honeypot is a tropical paradise. If you want to explore, Danger Lytton's regions are under reconstruction, but I saw enough in Petra to put it on my list of places to watch and revisit. The same is true for Paramour, from Mata Hari. Our official destination for the evening was lingerie party at Mata Hari's (Aine Caoimhe) Hedonism Club. Thirza Ember had just launched her lovely lingerie shop, Sottigliezze, on the Nook grid in the Paradise region, so an area at the entrance for sharing and swapping lingerie creations attracted a lot of attention from both men and women. One of our favorite things to do at Nook Grid is make book boyz--NPC characters that were heroes in our novels--and set them up as dance partners at our First Friday book birthday parties each month. As you can imagine, we were all over Mata Hari's new dance system that allows us to deliver male and female characters as dance partners from the dance ball. There were 28 guests enjoying the festivities. Some of our guests were first time visitors from SL to Opensim. 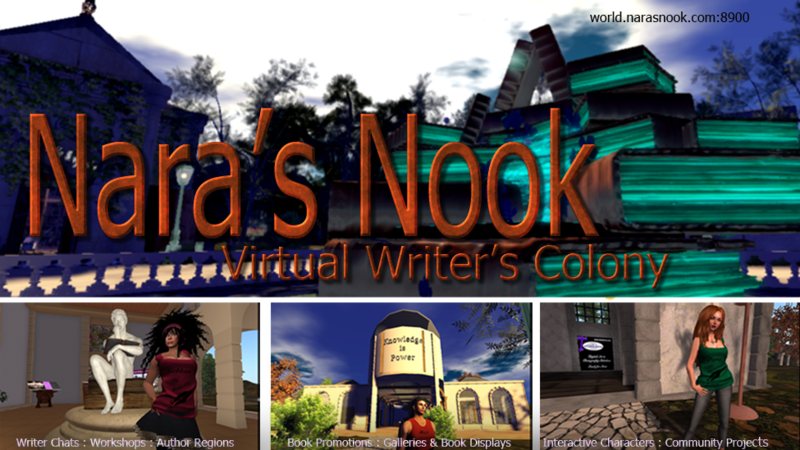 One confided that she didn't know we had clubs in OpenSim and she was impressed by the beauty of the build, low lag, the dance systems and those amazing NPCs. So was I. You can find Mata's free dance balls, poles, and floors on the first floor of her Hedonism Club.Go to refugegrid.com:8002: From there take a gate to the Hedonism region. If you'd like to grid-hop with us on our next Moonlight Safari, we leave Wednesday 9pm EST from world.narasnook.com:Greyville This time we will be doing the full tour and visiting all the stops the HG Safari visited. If you can't make the earlier HG Safari, or couldn't make it to all the stops, drop in and join us. The OSGrid crash is kind of like the end of God Emperor of Dune.